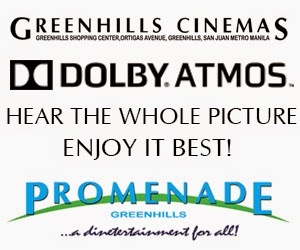 The new Promenade Cinemas at the Greenhills Shopping Center now offers a new technology called Dolby Atmos. It’s the new world of sound that let’s you “hear the whole picture.” Dolby Atmos is the revolutionary sound technology that is the current world class standard of sound technology. It debuted in the Philippines at the Promenade Mall Cinemas 6, 7 and 8 on July 11, 2013. Dolby Atmos is special because of the state of the art sound technology that brings the movie’s sound come to life, making you feel as if you are part of the picture, in the middle of the action, hearing the sounds from where they are actually coming from. Technically, Atmos is a positional sound system, with many more channels of audio than a typical surround sound system. It enables the aural tracking of objects in a 3D space, to create a more lifelike sound. Instead of thinking of sound in terms of channels, the technology allows sound editors to work with object-oriented sound instead. Using a computer algorithm, Atmos can drive audio across the hall, splitting it across multiple speakers to accomplish a positional effect. Traditional sound technology has the sounds coming from in front of or behind the audience, from either side, or from above. With Atmos, the sound comes from anywhere and everywhere. 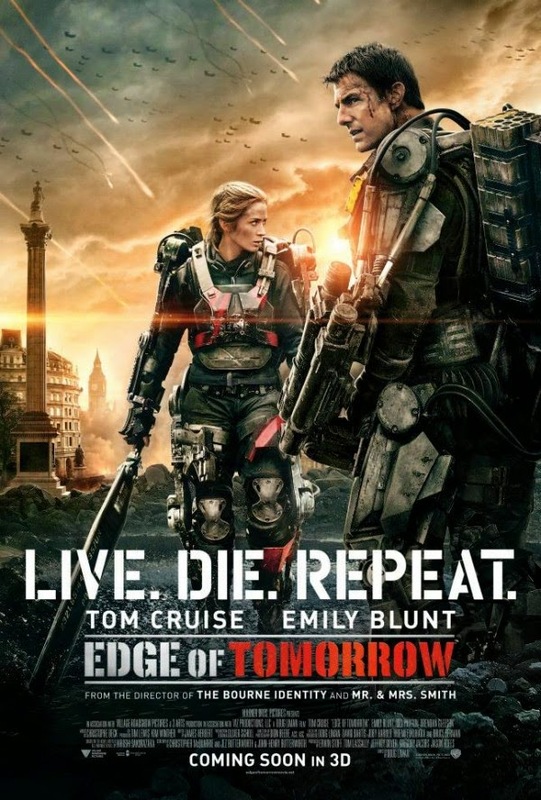 This is what we experienced watching the parapsychological sci-fi film, Edge of Tomorrow, starring Tom Cruise. Bloggers were treated to experience the movie theater technology with this film on June 7, 2014. The technology uses a computerised algorithm to tweak the sound output based on the number of installed speakers, so sound editors can designate where in the cinema space each sound should be coming from, instead of having to consider speaker numbers and placement. In short, Dolby Atmos delivers a powerful and dramatic new cinema sound listening experience. It allows sound to move around the theater to create dynamic effects. It reproduces a natural and lifelike audio experience that perfectly matches the story. Its overhead speakers create the most realistic effects you’ve ever heard. And up to 64 speakers total placed all around the theater heighten the realism and impact of some of the major movies produced in America, such as Brave, The Life of Pi, Star Trek: Into Darkness, Pacific Rim, Gravity, Thor : The Dark World, Elysium, The Hunger Games: Catching Fire, 300: Rise of An Empire, Captain America : The Winter Soldier, Transcendence, The Amazing Spiderman 2, Godzilla, Maleficent, and now, Edge of Tomorrow were made in Dolby Atmos. How To Train Your Dragon 2, Transformers: Age of Extinction, Dawn of the Planet of the Apes, Guardians of the Galaxy, The Expendables 3 and The Avengers: Age of Ultron are the upcoming movies in Dolby Atmos. Greenhills Cinemas 6, 7 and 8 – all equipped with Dolby Atmos and fitted with wall-to-wall, floor-to-ceiling screens -- enhance the viewing experience of these blockbuster movies best. 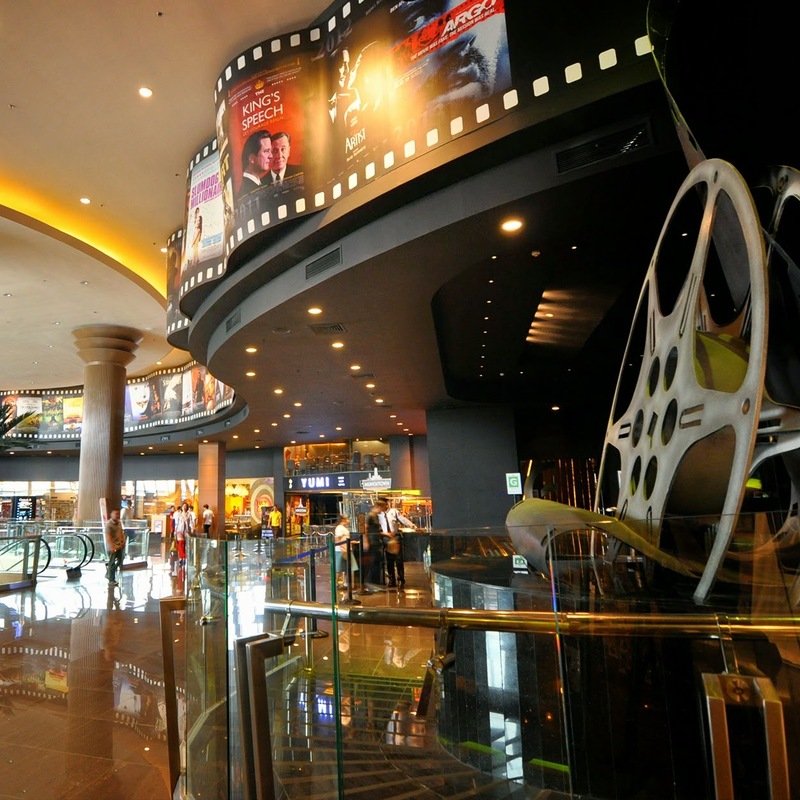 Greenhills Cinema general manager Paolo Mendoza says putting up one Dolby Atmos theater is like putting up three regular theaters in terms of cost and equipment. “You need to invest in a CP850, which is the latest processor used by Dolby as well as special Perlux screens. The new Promenade screens are also bigger -- floor to ceiling in heght and spread side to side – in essence, (like) a mini Imax,” he explained. To date, there are 150 countries already that enjoy the revolutionary Dolby Atmos technology all over the world and Greenhills Cinema is the first in the Philippines to offer it in Promenade Cinema 6, 7 and 8 -- the most number of Dolby Atmos theaters in one structure in the whole of Asia. 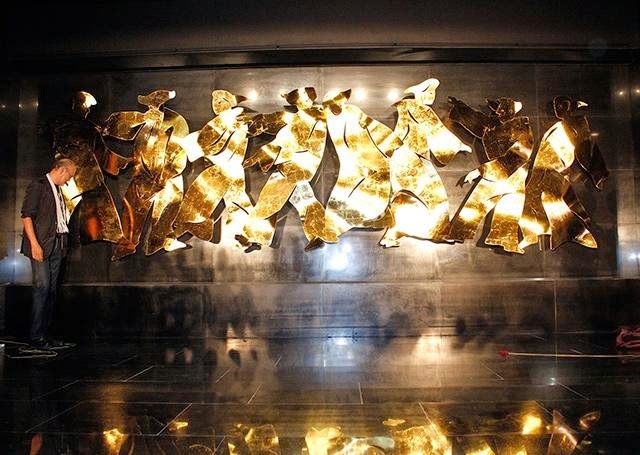 A large-sized gold metal relief sculpture by National Artist for the Visual Arts Benedicto Cabrera (Bencab) entitled 8 Movements greets moviegoers as they get off from the escalator, giving them a sense of the grandeur of well-appointed cinema houses of the 50s and 60s. 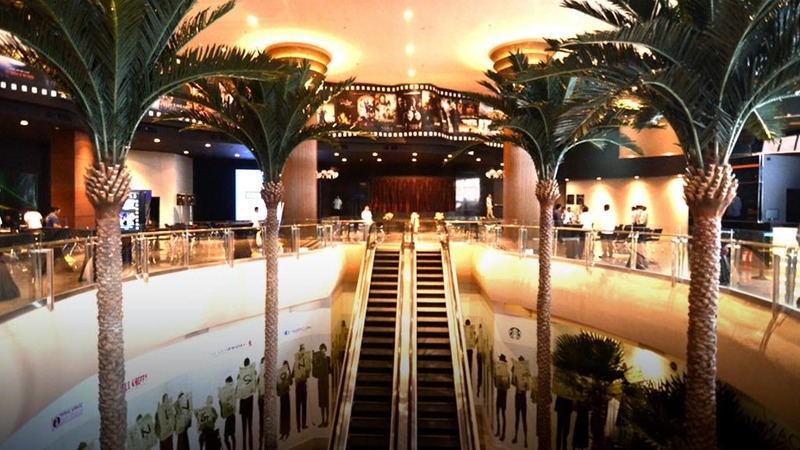 Towering palm trees, mood lighting, and wrap-around giant posters of Oscar Best Pictures adorn the lobby. Even the rest rooms are hotel-like in their luxury. “We wanted to bring back some of the elegance of movie theaters during the grand old days of cinema when movie houses were stand-alone and had murals and art pieces for décor. Moviegoers then surely had a grand feeling when going to the movies. This is the reason why we brought the finest art into the new theaters at the Promenade and why the three new cinemas are fitted with state of the art Dolby Atmos technology. We hope in the near future more cinemas will follow suit to give moviegoers the wonderful experience of watching movies in the best way they can,” said Precy Florentino, president of the Music Museum Group, Inc. which runs Greenhills Cinemas. Movie fanatics will have a different movie experience of art and technology at the new Promenade Cinemas.